The New MG GS is available across the region in two trim levels: 2.0T COM and 2.0T LUX AWD. With prices starting from just USD 17,200, depending on market, MG's SUV offers fun family versatility in a highly affordable package. The central console has been completely revamped to offer a more premium finish and greater functionality. It integrates new 360-degree air conditioning vents, while a revised compressor contributes to both enhance the system's operation and reduce noise. New, sportier seats contribute to the heightened levels of comfort and style within the cabin. The New MG GS, in keeping with the brand's reputation for delivering excellent value for money, is exceptionally well-equipped. Standard features on both models include electric folding mirrors, an electrically-operated sunroof, keyless entry, cruise control, a push-start button, auto-hold function, hill-descent control, reversing sensors and a parking camera. The infotainment system also supports Apple CarPlay. There is ample room in the New MG GS, including 24 different storage spaces. The rear seats can be completely laid flat, expanding the trunk capacity from 434 litres to a whopping 1,336 litres and allowing easy storage of large items. And passengers also benefit from plenty of room in the smart cabin, thanks the new model's dimensions – it is longer, wider and taller than its key competitors. Since its acquisition of MG Motor, SAIC MOTOR, as a Global Top 500 company, has opened a new chapter for this British-born brand. 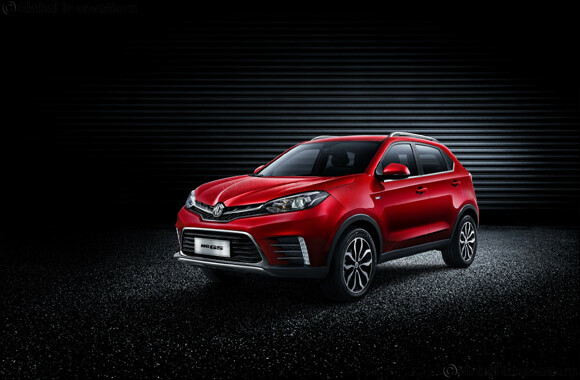 The introduction of the second-generation MG GS follows the launch of two SUV models earlier this year, the MG RX5 compact SUV and the MG ZS SUV. Together, these models join the existing MG 360 to complete the brand's Middle East line-up.